It sounds like something out of a conspiracy-theorist's handbook: A new, independent report has found that medical personnel, who had been tasked with monitoring the health of detainees in military prisons, were in fact complicit in the abuse and torture of terrorism suspects. The two-year study, carried out by the Institute of Medicine and the George Soros-funded Open Society Foundations, found that the Pentagon, along with the CIA, mandated that doctors and nurses "collaborate in intelligence gathering and security practices in a way that inflicted severe harm on detainees in US custody," apparently helping design, enable and even participate in the cruel and abusive treatment of the prisoners. According to the report, this process began after the September 11 attacks; at CIA secret detention sites; U.S. prisons in Afghanistan; and Guantanamo Bay in Cuba. The practices required included “designing, participating in, and enabling torture and cruel, inhumane and degrading treatment” of detainees, necessitating that doctors and nurses "forgo their independent medical judgment and counseling roles" and "force-feed competent detainees engaged in hunger strikes" — in spite of the fact that this is forbidden by the World Medical Association and the American Medical Association. Plus, you know, ethics in general. “It’s clear that in the name of national security ... physicians were transformed into agents of the military and performed acts that were contrary to medical ethics and practice. We have a responsibility to make sure this never happens again,” said Task Force member Dr. Gerald Thomson, Professor of Medicine Emeritus at Columbia University. The group also pointed out that the CIA’s Office of Medical Services both reviewed and approved various forms of abuse and torture, and even told the Department of Justice that certain other “enhanced interrogation” methods — like extended sleep-deprivation and waterboarding — were medically acceptable. But both the CIA and the Pentagon have rejected the study's findings, saying that the report "contains serious inaccuracies and erroneous conclusions". "It's important to underscore that the CIA does not have any detainees in its custody and President [Barack] Obama terminated the Rendition, Detention and Interrogation Program by executive order in 2009," said CIA public affairs chief Dean Boyd. And Pentagon spokesman Todd Breasseale went out of his way to instead laud Guantanamo's doctors and nurses, calling them "consummate professionals working under terrifically stressful conditions, far from home and their families, and with patients who have been extraordinarily violent." He added that they gave "not only better medical care than any of these detainees have ever known, but care on par with the very best of the global medical profession." 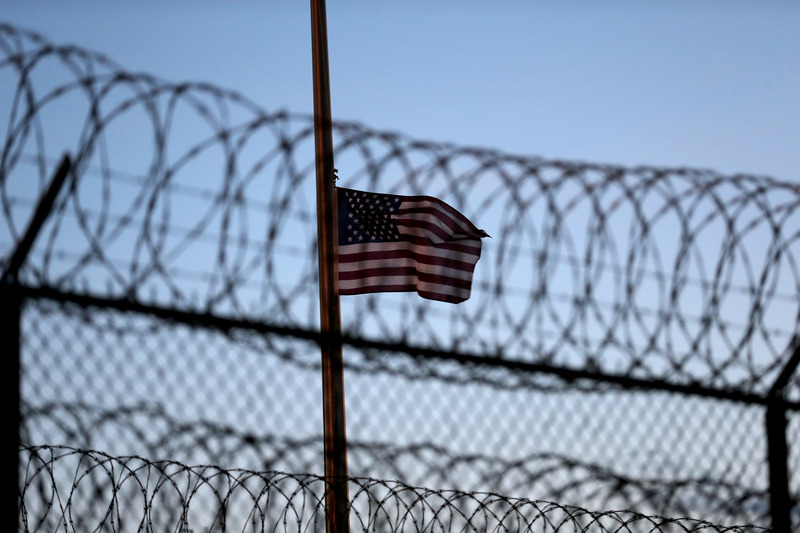 For many, Guantanamo Bay prison has become, of course, almost synonymous with torture. Last month, over a hundred prisoners — at one point, a whopping 106 out of a total 164 detainees — went on hunger strike (and were subsequently force-fed through nasal tubes) for months to protest the prison's cruel conditions, including the fact that many of the prisoners are being held in indefinite detainment, in spite of having been cleared for release. Although the U.S. decided to stop releasing the number of Gitmo prisoners on hunger strike in late September (ostensibly because they decided the strike was over), human rights groups argued that at least 16 inmates continue to be force-fed daily. Letters later released by the Guardian showed that the U.S. military had secretly abused many of the hunger strikers to get them to stop striking, including placing them in solitary confinement until they agreed to eat. Although President Barack Obama promised in May to close the controversial prison, the process has been slow — almost sedentary, in fact. In spite of a new envoy, Paul Lewis, appointed in early October to oversee the closure of the facility, 84 detainees that have been cleared for transfer are still being held on the naval base. And although 56 Yemenis — previously not allowed to be moved because Yemen was considered too unstable — are no longer considered a threat to US national security, all of them are still at Guantanamo. Since Congress banned 9/11 defendants from setting foot on U.S. soil, the trial of those charged with plotting the attacks of September 11th is being held at Guantanamo Bay itself. At a cost of $90,000 a flight.